Recapping the last fortnight, I noted some pretty interesting market chatter in the run-up to the end of the year. Crude talk cannot be complete without a discussion on the economic recovery and market conjecture is that it remains on track. In its latest quarterly Global Economic Outlook (GEO) Dec. edition, Fitch Ratings recently noted that despite significant financial market volatility, the global economic recovery is proceeding in line with its expectations, largely due to accommodative policy support in developed markets and continued emerging-market dynamism. In the GEO, Fitch has marginally revised up its projections for world growth to 3.4% for 2010 (from 3.2%), 3.0% for 2011 (from 2.9%), and 3.3% for 2012 (from 3.0%) compared to the October edition of the GEO. Emerging markets continue to outperform expectations and Fitch has raised its 2010 forecasts for China, Brazil, and India due to still buoyant economic growth. However, the agency has revised down its Russian forecast as the pace of recovery proved weak, partly as a result of the severe drought and heatwave in the summer. Fitch forecasts growth of 8.4% for these four countries (the BRICs) in 2010, and 7.4% for each of 2011 and 2012. While there are ancillary factors, there is ample evidence that crude prices are responding to positive chatter. Before uncorking something alcoholic to usher in the New Year, the oilholic noted that either side of the pond, the forward month crude futures contract capped US$90 per barrel for the first time in two years. 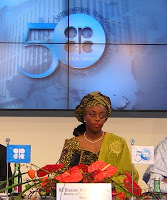 Even the OPEC basket was US$90-plus. Most analysts expect Brent to end 2012 at around US$105-110 a barrel and some are predicting higher prices. The city clearly feels a US$15-20 appreciation from end-2010 prices is not unrealistic. 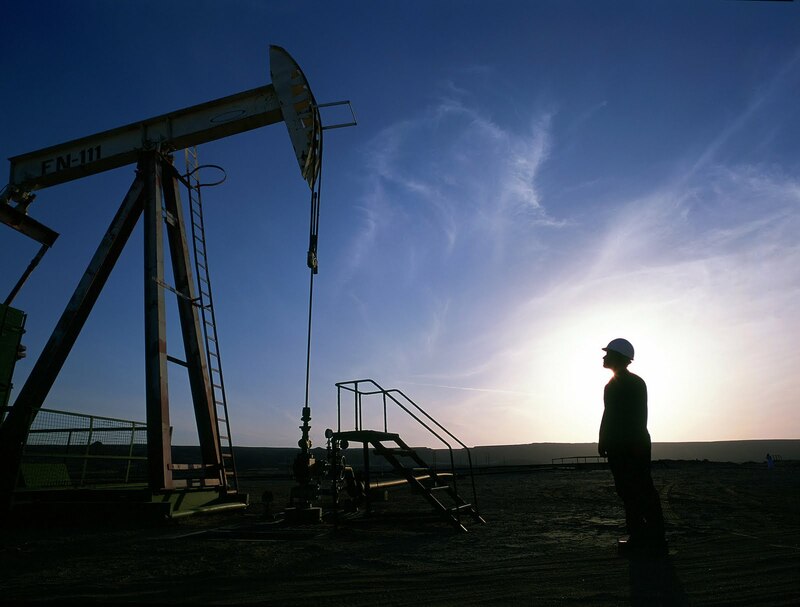 Moving away from prices, in a report published on December 15th, Moody's changed its Oilfield Services Outlook to positive from stable reflecting higher earnings expectations for most oilfield services and land drilling companies in 2011. However, the report also notes that the oilfield services sector remains exposed to significant declines in oil and natural gas prices, as well as heightened US regulatory scrutiny of hydraulic fracturing and onshore drilling activity, which could push costs higher and limit the pace and scale of E&P capital investment. Peter Speer, the agency’s Senior Credit Officer, makes a noteworthy comment. He opines that although natural gas drilling is likely to decline moderately in 2011, many E&Ps will probably keep drilling despite the weak economics to retain their leases or avoid steep production declines. 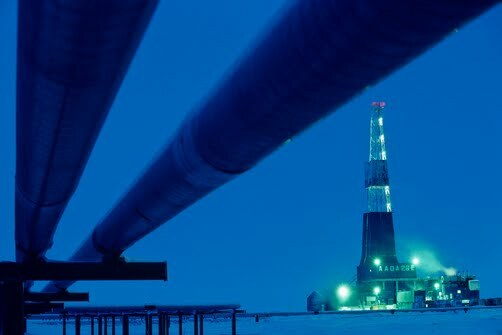 Any declines in gas-directed drilling are likely to be offset by oil drilling, leading to a higher US rig count in 2011. However, Speer notes that offshore drillers and related logistics service providers pose a notable exception to these positive trends. "We expect many of these companies to experience further earnings declines in 2011, as the U.S. develops new regulatory requirements and permitting processes following the Macondo accident in April 2010, and as activity slowly increases in this large offshore market," he concludes. Couldn’t possibly have ended the last post for the year without mentioning Macondo; BP’s asset sale by total valuation in the aftermath of the incident has risen to US$20 billion plus and rising. Sadly, Macondo will be the defining image of crude year 2010. As expected, no major surprises came out of OPEC's 158th Meeting in the Ecuadorian capital Quito where the cartel left its production quotas unchanged this weekend. Some four of the twelve oil ministers from member nations – namely those of Kuwait, Qatar, Nigeria and Iraq – did not even turn up and sent junior officials instead. We ask only because there is the little matter of the price of black gold capping US$90 per barrel either side of the pond for the first time in two years. He predicted a few seconds later that there would be no increase in OPEC production and here we are a few days hence. Interestingly, on the same day as Naimi was chiding reporters in Quito, the Paris-based International Energy Agency (IEA) opined that OPEC may come under pressure over 2011 to raise production. IEA currently expects oil demand in 2011 to rise by 1.3 million bpd; 260,000 bpd more than previously forecast. In an accompanying statement, it said, "Although economic concerns remain skewed to the downside, not least if current high prices begin to act as a drag on growth, more immediately demand could surprise to the upside." Overall, Global oil supply reached 88.1 million barrels a day last month, hitherto its highest ever level. Furthermore, the IEA forecasts world demand to expand 1.5 per cent in 2011 to 88.8 million barrels a day, which if recorded would also be a record. Its medium term projections for world oil demand for 2009-2015 is an average rise of 1.4 million bpd each year; an increment from its June assessment. Black Gold @ US$90-plus! No, Surely? Is it? “You can’t be serious,” was often the trademark thunder of American tennis legend John McEnroe when an umpiring decision went against him. In a different context some commodities analysts might be thundering exactly the same or maybe not. In any case, deep down Mr. McEnroe knew the umpire was being serious. On a not so sunny Tuesday afternoon in London, ICE Futures Europe recorded Brent crude oil spot price per barrel at US$91.32. This morning the forward month Brent futures contract was trading around US$90.80 to US$91.00. While perhaps this does not beggar belief, it certainly is a bit strange shall we say. I mean just days ago there was the Irish overhang and rebalancing in China and all the rest of it – yet here we are. Société Générale’s Global Heal of Oil research Mike Wittner believes the fundamental goalposts may have shifted a bit. In a recent note to clients, he opines that underpinned by QE2, the expected environment of low interest rates and high liquidity next year should encourage investors to move into risky assets, including oil. “With downward pressure on the US dollar and upward pressure on inflation expectations, the impact should therefore be bullish for crude oil prices,” he adds. The global oil demand growth for this year has been revised up sharply to 2.4 Mb/d from 1.8 Mb/d previously by SGCIB, mainly due to an unexpected surge in Q3 2010 OECD demand. The demand growth for next year has also been increased, to 1.6 Mb/d from 1.4 Mb/d previously (although still, as expected, driven entirely by emerging markets). YooHoo – see that – “mainly led by crude, not products.” Furthermore, SGCIB believes crude price should average US$95 in H2 2011, in a $90-100 range. Well there you have it and it is a solid argument that low interest rates and high liquidity environment is bullish for oil. Elsewhere, a report published this morning on Asian refining by ratings agency Moody’s backs up the findings of my report on refinery infrastructure for Infrastructure Journal. While refinery assets are rather unloved elsewhere owing to poor margins, both the ratings agency and the Oilholic believe Asia is a different story. While Moody's does not foresee a significant restoration of companies' balance-sheet strength in the near term, they are still performing (and investing in infrastructure) better than their western, especially US counterparts. There’s been some interesting chatter from Moody’s these past seven days on all things crude. Some of these stood out for me. Early last week in a note to clients, the rating agency opined that CNOOC Ltd's Aa3 issuer and senior unsecured ratings would not be immediately affected by the Chinese company's additional equity investment of US$2.47 billion in its 50% joint-venture Bridas Corp. The investment represents CNOOC's share of funding contributions for Bridas to purchase a remaining 60% interest in Pan American Energy, which is engaged in E&P ops in South America. Bridas plans to fund 70% of its purchase by equity and 30% by debt or additional contributions from shareholders. 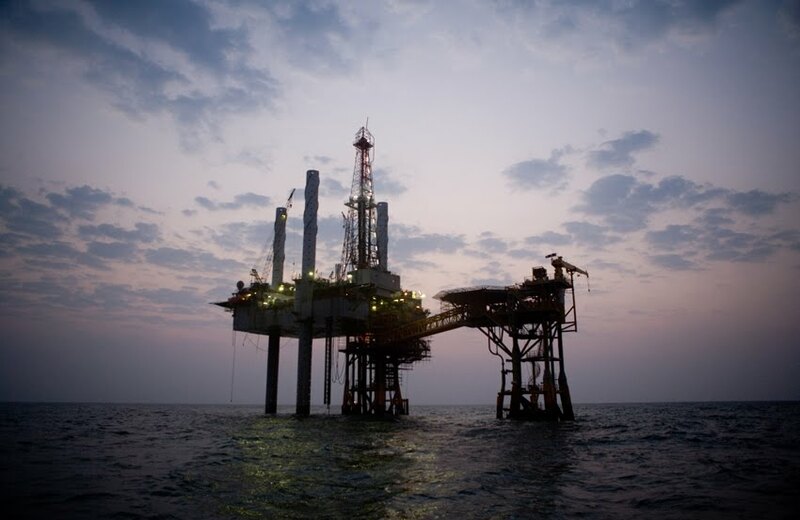 CNOOC is funding its equity contribution to Bridas with internal resources on hand. The transaction would give it an additional 429 million BOE of proved reserves and 68,000 bpd daily production in South America, according to Moody’s. Completion of the transaction is expected to take place during H1 2011, that’s of course government and regulatory approvals pending. However, the crude chatter of the week not just from Moody's, but from the entire market was the agency’s interesting analytical take on oil sands producers’ operating considerations. 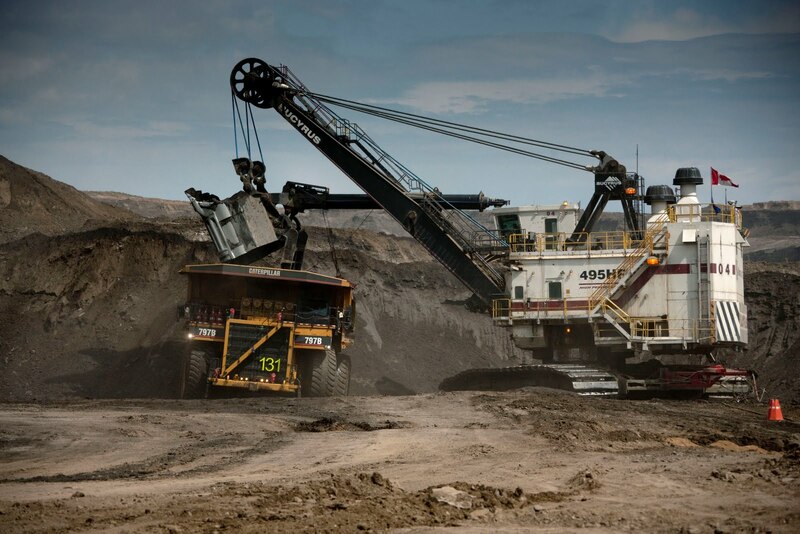 In a report titled – Analytical Considerations for Oil Sands Producers – the agency notes that while comparing oil sands development and production projects to conventional development and production projects, the former have much larger upfront development costs. Such projects are more likely to incur construction cost overruns, and quite simply take much longer to reach breakeven cash flow. Other features include higher cash operating costs per barrel of oil equivalent, very long reserve life and low maintenance capital expenditures once in production, particularly of mining oil sands operations, the report said. One might say that parts of the report are predictable but it must be noted that in analysing companies with relatively large oil sands exposure, Moody's balances the negative aspects of the difficult construction period against the anticipated long-term positive contributions from these assets. So well, on balance, I found the principal tenets to be very convincing. Let us face it, whether peak oil will be here soon or not, “easy oil” (interchangeable with cheap oil) is most certainly gone. Cost overruns are unlikely to deter big oil. So far Shell has invested just under US$10 billion (River Oil Sands), Chevron US$9 billion (Athabasca), ExxonMobil US$5 billion (Kearl Oil sands investment) and BP is said to be catching up via its Sunrise oil sands investment. Elsewhere, Desire Petroleum’s saga of will they find oil in the Falklands Is. or won't they or worse still when will they give up continues. Its share price saw wild swings and ended in a damp squib (haven’t we heard that before). I do not wish to tempt fate, but Desire Petroleum is no Cairn Energy. I do hope for Desire's sake that they do strike black gold in meaningful if not bountiful quantities. However, the market response to a whiff of positive news is nothing short of barmy. The report is available on Moody's web site. Chinese Tightening, Irish Overhang & ITPOES at it! The Goldman guys believe a far greater near term risk will come from the “current exceptional strength in diesel demand, which could push Chinese oil demand to new highs in November and December.” Fair dues I say, but not the best of expressions when talking about Ireland. As further details about its imminent bailout are awaited not many in the City were keen to commit further funds towards crude futures. However, some city types I know were fairly cool about both the fate of the Irish and the connection of the country's troubles with an equities overhang on either side of the pond. From Goldman analysts, the Irish and the Chinese to the ITPOES who were at it again last week. ITPOES are of course, the (UK) Industry Taskforce on Peak Oil and Energy Security, who warned the British government again last week that a new "peak oil threat" is likely to be felt in the UK within the next five years. The ITPOES came into being in 2008 led by none other than the inimitable Sir Richard Branson. Their latest report, which is part rhetoric, part fact, is titled Peak Oil Implications of the Gulf of Mexico Oil Spill and was released on Friday (Available here). 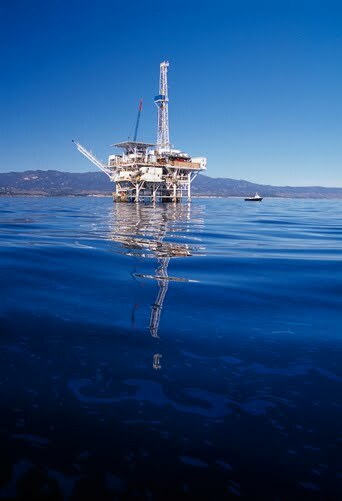 Deepwater drilling, they say, is expected to constitute 29 per cent of new global extraction capacity by 2015, up from only 5 per cent. The result is that any future delays or problems associated with deepwater drilling in wake of the BP Gulf of Mexico accident will have much greater impact on supply than is the case today. Wonder whether that implies the end of "cheap oil" rather than the nearing of "peak oil." The price of crude has seen a fair bit of fluctuation week over week and I agree with analysts at Société Générale CIB who noted on Tuesday that "the modest short-term crude price correction has been driven by investor profit-taking, as well as an end to a surge in gasoil cracks, which had temporarily supported crude prices." Prices actually peaked on Wednesday and Thursday of last week. Since then, the front-month crude prices have eased by US$2-3. At 18:05GMT on Tuesday, WTI forward month contract was trading at US$80.65/bbl and ICE Brent at US$83.60/bbl. 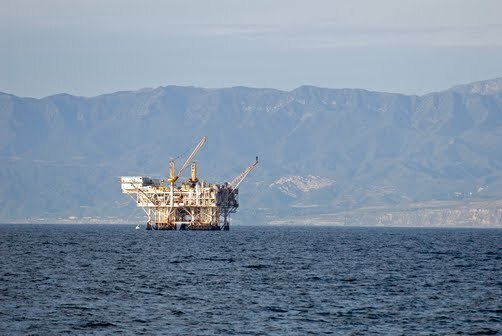 Elsewhere in this crude world, it was revealed on Tuesday that BP’s Rhim field off the coast of Scotland has been shutdown as it is understood that the field turned out to be a joint venture between it and financiers related to Iranian oil. The shutdown was triggered because extraction from the field could be in contravention of existing European Union sanctions against Iran, issued in October. The company it is now seeking clarification from the UK government on how the sanctions would apply. Elsewhere, S&P Ratings Services affirmed its 'BBB-' long-term corporate credit rating and 'ruAA+' Russia national scale rating for Lukoil last week. Concurrently, S&P also removed the ratings from CreditWatch, where they were placed on July 29, 2010. S&P credit analyst Andrey Nikolaev said, "The affirmation reflects our improved assessment of Lukoil's liquidity position, which we now assess as 'adequate' after the company successfully issued a $1 billion Eurobond." S&P also anticipates that Lukoil will extend the terms of its committed credit lines over the next several weeks. 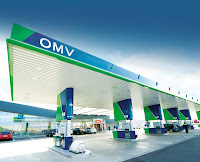 "We now estimate Lukoil's ratio of sources to uses of liquidity at about 1.2x, factoring in the committed credit lines with the terms to be extended," Nikolaev added in an investment circular. S&P views Lukoil's business risk profile as "satisfactory", underpinned by large and profitable upstream and downstream operations, which are largely concentrated in Russia. The ratings agency also views Lukoil's financial risk profile as 'intermediate', based on its modest debt leverage and our perception that it has fairly good access to bank funding and capital markets. This week marked the culmination of almost a month and a half of my research work for Infrastructure Journal on the subject of oil refinery infrastructure and how it is fairing. Putting things into context, like many others in the media I too share an obsession with the price of crude oil and upstream investment. I wanted to redress the balance and analyse investment in the one crucial piece of infrastructure that makes (or cracks) crude into gasoline, i.e. refineries. After all, the consumer gets his/her gasoline at the gas station – not the oil well. The depth of Infrastructure Journal's industry data (wherein a project’s details from inception to financial close are meticulously recorded) and the resources the publication made available to me made this study possible. It was published on Wednesday, following which I went over to discuss my findings with the team of CNBC’s Squawk Box Europe. 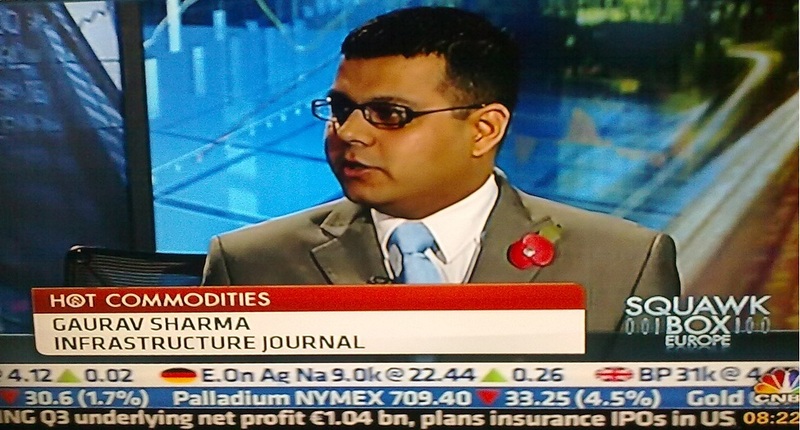 I told CNBC (click to watch) that my findings suggest activity in private or public sector finance for oil refinery projects, hitherto a very cyclical and capital-intensive industry currently facing poor margins, is likely to remain muted, a scenario which is not going to materially alter before 2012. The evidence is clear, integrated oil companies have and will continue to divest in downstream assets particularly refineries because upstream investment culture of high risk, high rewards trumps it. Growth in finance activity is likely to come from Asia in general and surprise, surprise India and China in particular. It is not that margins are any better in these two countries but given their respective consumers’ need for gasoline and diesel – margins become a lesser concern. 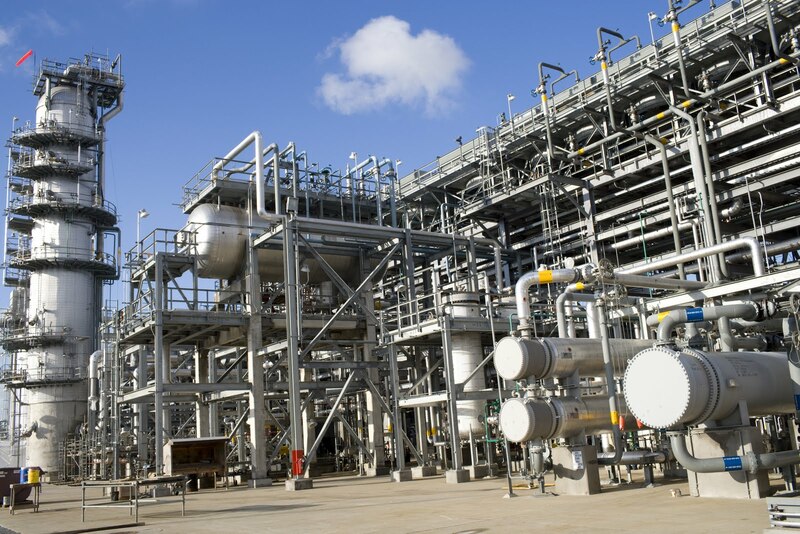 However, in the west, while refiners’ margins remain tight, new and large refinery infrastructure projects would see postponements, if not cancellations. 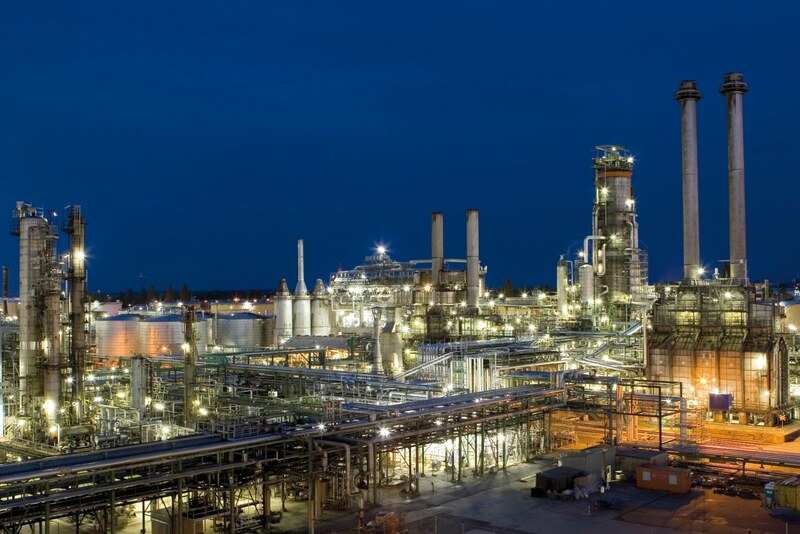 In order to mitigate overcapacity, a number of mainly North American and European refiners or integrated companies will shutdown existing facilities, albeit quite a few of the shutdowns will be temporary. Geoff Cutmore and Maithreyi Seetharaman probed me over what had materially changed, after all margins have always been tight? Tight yes, but my conjecture is that over the last five years they have taken a plastering. On a 2010 pricing basis, BP Statistical Review of World Energy notes that the 2009 refining average of US$4.00 per barrel fell below the 2008 figure of $6.50 per barrel; a fall of 38.5%. In fact, moving away from the average, on an annualised basis, margins fell in all regions except the US Midwest last year while margins in Singapore were barely positive. Negative demand has in effect exasperated overcapacity both in Europe and North America. BP notes that global crude runs fell by 1.5 million bpd in 2009 with the only growth coming from India and China where several new refining capacities, either private or publicly financed, were commissioned. Its research further reveals that most of the 2 million bpd increase in global refining capacity in 2009 was also in China and India. Furthermore, global refinery utilisation fell to 81.1% last year; the lowest level since 1994. In fact does it surprise anyone that non-OECD refinery capacity exceeded that of the OECD for the first time in 2009? It doesn’t surprise me one jot. I see this trend continuing in 2010 and what happens thereafter would depend on how many OECD existing refineries facing temporary shutdown are brought back onstream and/or if an uptick in demand is duly noted by the OECD nations. A hope for positive vibes on both fronts in the short to medium term is well...wishful thinking. Refineries were once trophy assets for integrated oil companies but in the energy business people tend to have short memories. Alas, as I wrote for Infrastructure Journal (my current employers) and told CNBC Europe (my former employers), now they are the unloved assets of the energy business. We are nearing the end of September and crude oil just cannot shake off the linkage with perceived (rather than prevalent) risks to the health of the global economy. In fact, for lack of a better phrase - the “on” or “off” risk has been causing price fluctuation for some eight weeks now. My contacts in the City also voice concerns about the next round of G20 opting for further regulation on commodities trading. Although it is the kind of rhetoric they have indeed heard time and again over the decades; it irks their collective psyche. Overall, most expect crude oil prices to remain in the range of $73 to $85 until at least Q1 2011. Analysts at Société Générale CIB actually have a much wider ranged forecast to the tune of US$70 to US$85. In the oil business its best to avoid generalisations especially when it comes to forecasts, but a return to a US$100 plus price is not forecast by much of the wider market before Q1 2012 at the earliest. In fact the big story, which Wittner also alludes to in his note, is the surprisingly large increase in supply from non-OPEC exporters while the cartel’s output itself has been stable. Looking ahead to the OPEC summit on Oct 14, which I will be attending in Vienna, the cartel is widely tipped to hold production levels steady at 29.0 million barrels per day. Elsewhere in this crude world, Moody’s outlined potential Deepwater Horizon disaster liabilities for Transocean in an interesting report published on Monday. The report notes that Transocean’s credit risk has increased due to the disaster, although it is hard to quantify by how much. While much depends on unknown variables, Transocean's stake is likely to be limited to 10% of the total liabilities, which could reach as much as US$60 billion, Moody's said. 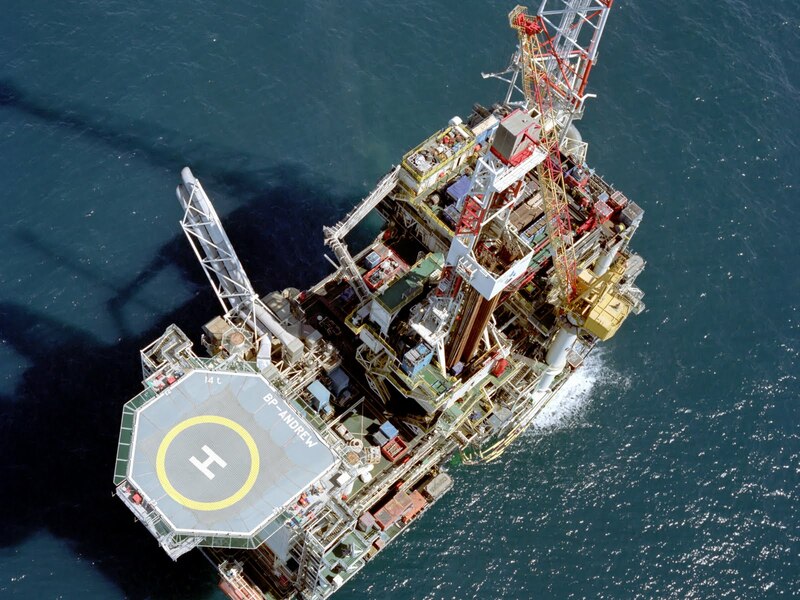 The recent downgrade of Transocean's long-term credit rating to Baa3 from Baa2 reflects that. 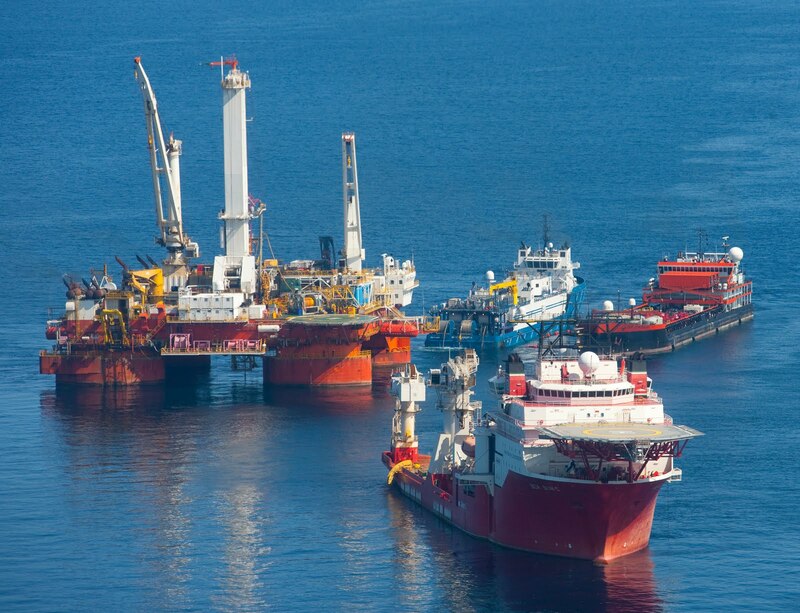 Kenneth Austin, Vice President & Senior Credit Officer at Moody's, feels that Transocean has sufficient cash, free cash flow and credit arrangements to address a US$6 billion responsibility without losing its investment-grade rating. “But any damages beyond that could force the company to consider ways to raise additional capital," he added. For now, Transocean's indemnification agreement with BP - the largest partner and operator of the Deepwater Horizon rig and Macondo well - leaves BP responsible for the damages, unless the oil giant challenges the agreement in court, the report said. Finally, the wider market has got word on what is being touted as the mother of all energy stock floatation’s and the largest share issue in corporate history – i.e. Petrobras’ attempt to raise something in the region of US$64.5 to US$74.7 billion. News emerged on Thursday that the final valuation was US$70 billion. Following my earlier query, a company spokeswoman told me that Petrobras issued 2.4 billion common shares priced at BRL 29.65 (US$17.12) each and 1.87 billion preferred shares at BRL26.30 (US$15.25) each. The capital from the much delayed IPO will finance development of offshore drilling in the country’s territorial waters. The Brazilian government also gets its fair “share” in return for giving Petrobras access to up to 5 billion barrels of oil. The debate over the “peak oil” hypothesis used to keep rearing its head from time to time in media and commodities circles – but of late it has become a bit of a permanent mainstream fixture, with regular discussions in the popular press. No one discounts the fact that oil is a non-renewable and finite hydrocarbon, but the positions people take on either side of the hypothesis often evoke fierce emotions. 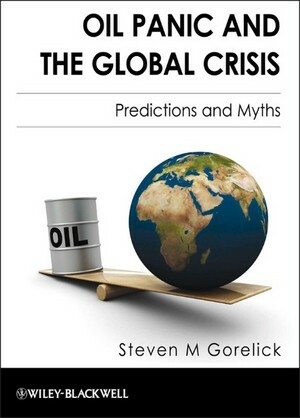 Enter Prof. Steven M. Gorelick – the author of the brilliant book – Oil Panic and The Global Crisis: Predictions and Myths. 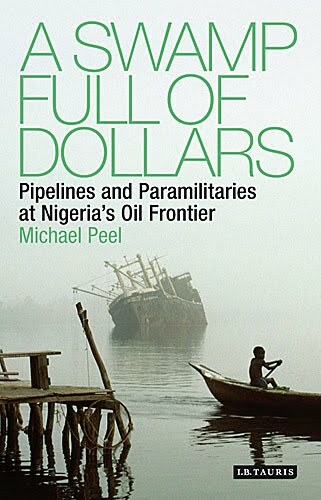 In my years as a journalist who has written on oil and follows crude markets closely, I feel this book is among the most engaging, detailed and well written ones that I have come across in its genre. Gorelick examines both sides of the argument and allied “crude” topics in some detail. He notes that commentators on either side of the peak oil debate, their respective stances and the arguments are not free of some pretty major assumptions. This pertains, but is not limited, to the complex issue of oil endowments and the methodology of working them out. The author examines data and market conjecture that both supports and rejects the idea that the world is running out of crude oil. 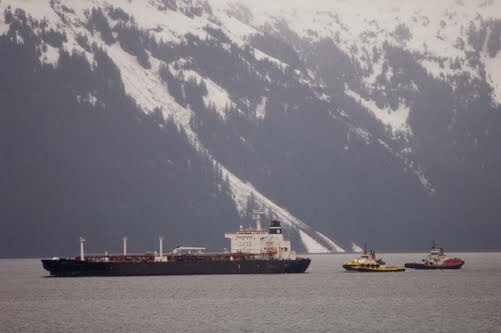 Prior to entering the resource depletion debate, Gorelick charts the landscape, outlines the history of the oil trade and crude prospection and exploration. Following on from that, he discusses the resource depletion argument followed by a refreshingly well backed-up chapter offering arguments against imminent global oil depletion. The veracity of the research is simply unquestionable and the figures are not substantiated by rants or guesswork, but by a methodical analysis which makes the author's argument sound extremely persuasive. If you are taken in by popular discourse or media chatter about the planet running out of oil, this book does indeed explode more than a few myths. The text is backed-up by ample figures, graphics and forecasts from a variety of industry recognised sources, journals and organisations. Unlike a straight cut bland discourse, the narrative of this book is very engaging. It may well be data intensive, but if the whole point of the book is substantiating an argument - then the data adds value and makes for an informed argument - for which author deserves full credit. Above anything else, I find myself in agreement with the author that the US, where production peaked a few decades ago, is a “pincushion of exploration relative to other parts of the world.” Backed-up by data, Gorelick explains that the Middle East, Eastern (& Central) Europe and Africa contain 75% of global crude reserves but account for only 13% of exploratory drilling. This must change. Every key topic from the Malthusian doctrine to M.K. Hubert's approach, from Canadian Oil sands to drilling offshore and the relative cost of imported oil for consuming nations have been discussed in context of the resource depletion debate and in some detail. Gorelick correctly notes that while the era of "easy" oil may well be over and how much oil is extracted from difficult sources remains to be seen. I quite agree with the author that the next or shall we say the current stage of extraction and prospection would ultimately be dictated by the price of oil. Many commodities traders believe a US$50 per barrel price or above would ensure extraction from difficult to reach places. However, that is not to say that a high price equates to the planet running out of oil, according to the author. He writes so from a position of strength having spent years analysing industry data and I find it difficult not to be swayed by the force of his honest arguments. Moody's Investors Service lowered the long-term senior unsecured ratings of Eni S.p.A. (Eni) and its guaranteed subsidiaries to Aa3 from Aa2 and the senior unsecured rating of Eni USA Inc. to A1 from Aa3. In a note on Monday, it said the outlook for all ratings is stable. Eni qualifies as a Government-Related Issuer (GRI) under Moody's methodology for such entities, given its 30.3% direct and indirect ownership by the Italian state. The downgrade reflects Moody's expectation that deleveraging process initiated by Eni management and recovery in the group's credit metrics will be gradual and unlikely to restore sufficient headroom to help underpin its business case analysis within the Aa range. In other news, the U.S. EIA has cut its forecast for global oil demand in light of lower forecasts for global growth. EIA now expects global oil consumption to rise by 1.4 million barrels per day in 2011 against last month's projection of 1.5 million barrels. The consumption growth forecast for 2010 was unchanged at 1.6 million barrels per day. On the pricing front, the EIA expects spot West Texas Intermediate crude prices to average US$77 a barrel in Q4 2010, down from its previous forecast of US$81. 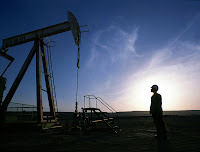 It added that crude prices are likely to climb to US$84 by the end of 2011. In the report, conducted by BP's head of safety Mark Bly, the oil giant noted eight key failures that collectively led to the explosion. Most notably, BP said that both its staff as well and Transocean staff interpreted a safety test reading incorrectly "over a 40-minute period" which should have flagged up risks of a blowout and action could have been taken on the influx of hydrocarbons into the well. BP was also critical of the cementing of the well - carried out by Halliburton - and the well’s blowout preventer. The report also notes that improved engineering rigour, cement testing and communication of risk by Halliburton could have identified flaws in cement design and testing, quality assurance and risk assessment. It added that a Transocean rig crew and a team working for Halliburton Sperry Sun may have been distracted by "end-of-well activities" and important monitoring was not carried out for more than seven hours as a consequence. Furthermore, BP said that there were "no indications" Transocean had tested intervention systems at the surface as was required by its company policy before they were deployed on the well. Crew may have had more time to respond before the explosion if they had diverted escaping fluids overboard, the report added. So there we have it – the oil giant is not absolving itself of the blame, but rather spreading it around. It came as no major surprise that both Halliburton and Transocean criticised and dismissed the report - though not necessarily in that order. The story is unlikely to go away as a national commission is expected to submit a report to President Barack Obama by mid-January 2011 followed by a Congressional investigation. The U.S. Justice department may yet step in as well if evidence of criminal wrongdoing of some sort emerges. 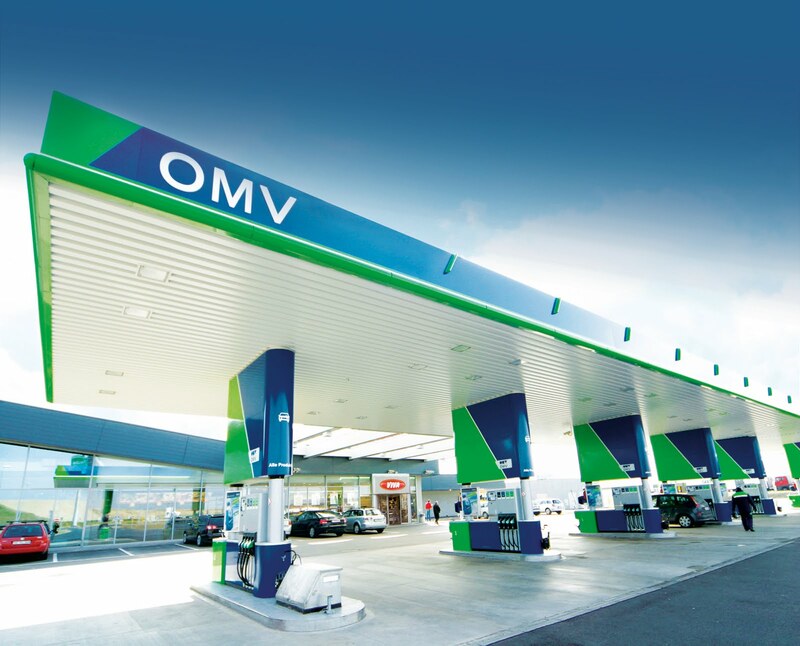 Away from the BP spill saga, French energy giant Total said last week that it could sell its 480 petrol stations in the UK as part of a strategic review of its British downstream operations as it refocuses on its core upstream strength and well something had to give. From a Sobering August to Sept's Crude Forecast! August has been a sobering month of sorts for the crude market. Overall, the average drop in WTI crude for the month was well above 8% and the premium between Brent crude and WTI crude futures contracts averaged about US$2. The market perhaps needed a tempering of expectations; poor economic data and fears of a double-dip recession did just that. Even healthy US jobs data released last week could not stem the decline; though prices did recover by about 2% towards the end of last week. On Friday, the crude contract for October delivery lost 0.6% or US$0.41 to $74.60 a barrel on NYMEX. This is by no means a full blown slump (yet!) given that last week’s US EIA report was bearish for crude. It suggests that stocks built-up by 3.4 million barrels, a figure which was above market consensus but less than that published by the API. This is reflected in the current level of crude oil prices. Looking specifically at ICE Brent crude oil futures, technical analysts remain mildly bullish in general predicting a pause and then a recovery over the next three weeks. In an investment note discussing the ICE Brent crude oil contract for October delivery, Société Générale CIB commodities technical analyst Stephanie Aymés notes that at first the market should drift lower but US$74.40/73.90 will hold and the recovery will resume to 77.20 and 77.70/78.00 or even 78.80 (Click chart above). On the NYMEX WTI forward month futures contract, Aymés also sees a recovery. 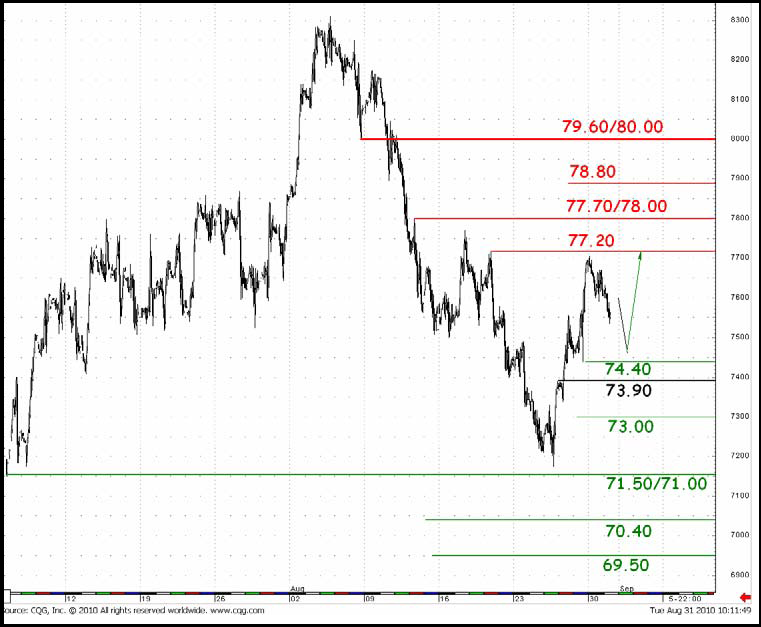 “73.40 more importantly 72.60 will hold, a further recovery will develop to 75.55/90 and 76.45 or even 77.05/77.25,” she notes. By and large, technical charts from Société Générale or elsewhere are not terribly exciting at the moment with the price still generally trading pretty much within the US$70-80 range. Elsewhere in the crude world, here is a brilliant article from BBC reporter Konstantin Rozhnov on how Russia’s recently announced privatisation drive is sparking fears of a return to the Yeltsin era sale of assets. On a crudely related note, after a series of delays, Brazil’s Petrobras finally unveiled its plans to sell up to US$64.5 billion of new common and preference stock in one of the largest public share offerings in the world. A company spokeswoman said on Friday that the price of new shares would be announced on September 23rd. The IPO could well be expanded from US$64.5 billion to US$74.7 billion subject to demand; though initially Petrobras would issue 2.17 billion common shares and 1.58 billion preferred shares. 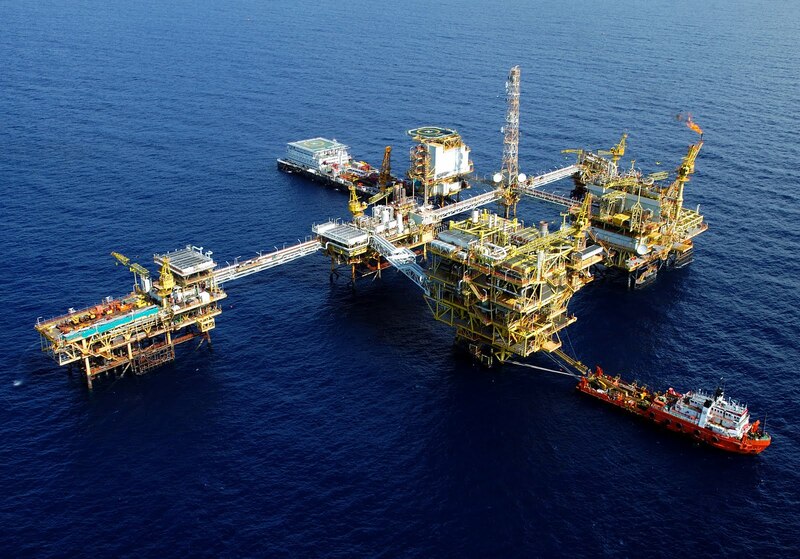 The share capital will finance development of offshore drilling in the country’s territorial waters. Lastly, the US Navy and BP said late on Sunday that the Macondo well which spilled over 200 million gallons of oil into the Gulf of Mexico poses no further risk to the environment. Admiral Thad Allen, a US official leading the government’s efforts, made the announcement after engineers replaced a damaged valve on the sea bed. Concurrently, The Sunday Times reported that BP had raised the target for its asset sales from US$30 billion to US$ 40 billion to cover the rising clean-up cost of the Gulf of Mexico oil spill. 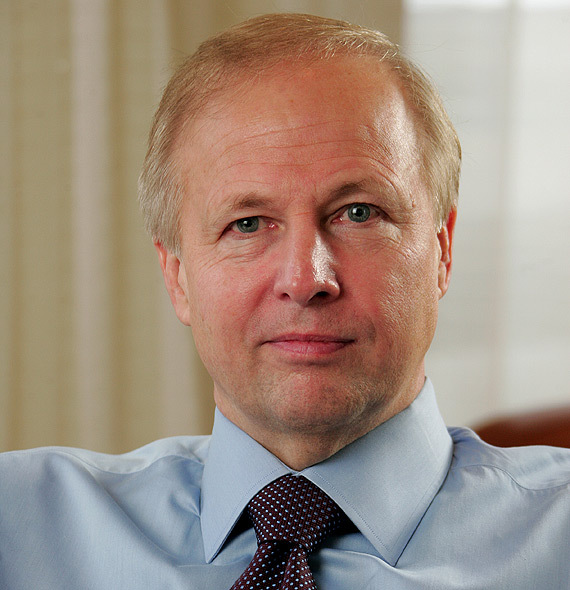 The paper, citing unnamed sources, also claimed that BP was revisiting the idea of selling a stake in its Alaskan assets. Since last week, the wider commodities market has continued to mirror equities. This trend intensified towards the end of last week and shows no sign of abating. Furthermore, it is worth noting that Brent crude is trading at a premium to its American cousin, a gap which widened over USD$2. 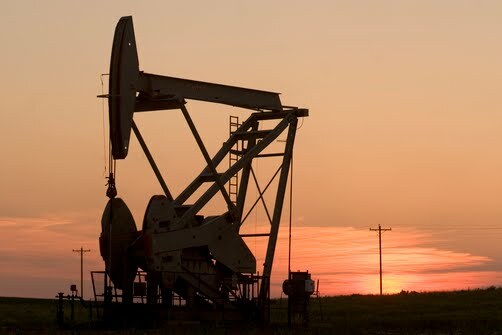 On Tuesday (August 31) at 13:00 GMT, the Brent forward month futures contract was trading at US$76.10 a barrel (down 1.1%) versus WTI crude at US$73.83 (down 3.1%) in intraday trading. This of course is ahead of the US energy department’s supplies update, due for publication on Wednesday. The report is widely tipped to show a rise in crude stockpiles and the US market is seen factoring that in. Overall, the average drop in WTI crude for the month of August is around 8.89% as the month draws to a close. Having duly noted this, I believe that compared to other asset classes, the slant in oil still seems a more attractively priced hedge than say forex or equities. Nonetheless, with there being much talk of a double-dip recession, many commentators have revised their oil price targets for the second half of 2010. Last month, the talk in the city of London was that crude might cap US$85 a barrel by the end of the year; maybe even US$90 according to Total’s CEO. Crude prices seen in August have tempered market sentiment. Analysts at BofA Merrill Lynch now believe the oil price should average US$78 per barrel over H2 2010 owing to lower global oil demand growth and higher-than-expected non-OPEC supply. “Following robust increases in oil demand over the past 12 months on a stimulus-driven rebound, we now see some downside risk as slower growth sets in and OECD oil inventories remain high. Beyond 2011, oil markets should remain tight on solid EM fundamentals and potentially a looser monetary policy stance by EM central banks on the back of the recent crisis in Europe. Curves may flatten further as inventories return to normal levels and seasonal hedging activity picks up,” they wrote in an investment note. Elsewhere, Russia's largest privately held oil company - Lukoil - reported a 16% drop in quarterly profits with net profit coming at US$1.95 billion for the April-June period. Revenues rose 28% to US$25.9 billion on an annualised basis. In statement to the Moscow stock exchange, Lukoil said it is coping with the difficult macroeconomic situation and securing positive cash flow thanks to implementing measures aimed at higher efficiency which were developed at the beginning of the year. The company largely blamed production costs for a dip in its profits which rose 24% for the first half of 2010. In July, US oil firm ConocoPhillips, which owns a 20% stake in Lukoil, said it would sell its holdings. However, the Russian oil major issued no comment on whether it would buy-out ConocoPhillips’ holdings. 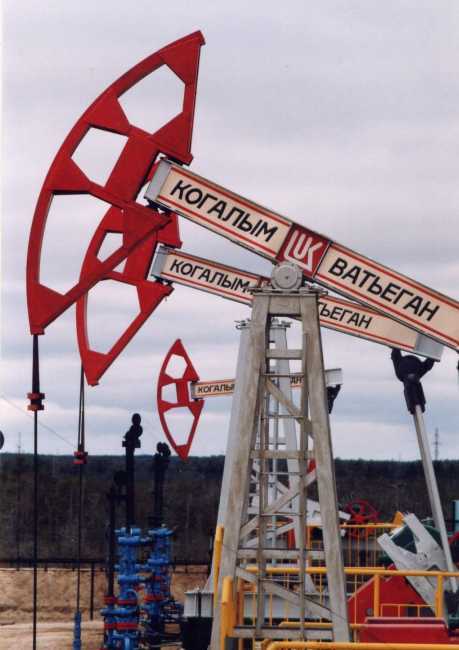 Reading investment notes and following the fortunes of Lukoil aside, I recently stumbled upon a brilliantly coined term – “petroaggressors” – courtesy of author and journalist Robert Slater. After all, little else can be said of Iran, Venezuela, Russia and others who are seeking to alter the energy security hegemony from the developed world in favour of the Third world. In his latest book – Seizing Power: the global grab for oil wealth – Slater notes that the ranks of petroaggressors are flanked by countries such as India and China who are desperate to secure the supply of crude oil with very few scruples to fuel their respective economic growth. It is mighty hard to imagine life without oil; such has been the dominance of the internal combustion engine on life in the developed world over the last six decades. Now the developing world is catching-up fast with the burgeoning economies of China and India leading the pack. End result is every economy, regardless of its scale is suddenly worried about its energy security. Slater opines that a grab for this finite hydrocarbon may and in some cases already is turning ugly. In fact he writes that the West, led by the US (currently the world's largest consumer of crude oil), largely ignored the initial signs regarding supply and demand permutations. As the star of the major oil companies declines, Slater writes that their market share and place is being taken not by something better - but rather by state-run, unproductive and politics-ridden behemoths dubbed as National Oil Companies (NOCs). If the peak oil hypothesis, ethical concerns, price speculation and crude price volatility were not enough, geopolitics and NOCs run by despots could make this 'crude' world reach a tipping point. Continuing on the subject of books, journalist Katherine Burton's latest work - Hedge Hunters: How Hedge Fund Masters Survived is a thoroughly decent one. In it, she examines the fortunes of key players in the much maligned, but still surviving hedge fund industry. In the spirit of a true oilholic, I jumped straight to Chapter 9 on the inimitable Boone Pickens, before immersing myself in the rest of her book. 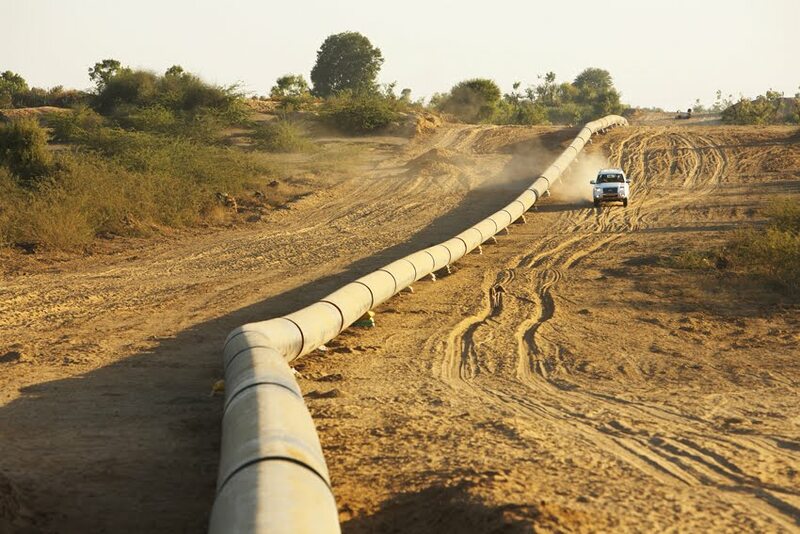 Barely a week after announcing the proposed sale of a 51% stake in its Indian unit to Vedanta in order to concentrate on its Greenland operations, Cairn Energy claims to have discovered gas in the self-governing Danish protectorate. It is usually a sign that the crude stuff may follow. In a statement, the company said its personnel had observed "early indications of a working hydrocarbon system" off Greenland’s coast at its Baffin Bay T8-1 prospection well. Apart from the T8-1 site, the energy company said plans to drill at least two other wells over the course summer were also on track. Cairn chief executive Sir Bill Gammell says he is looking forward to assessing results of the remainder of the 2010 drilling programme. So does rest of the market; except for Greenpeace who have promptly dispatched a protest ship to the region. The company's planned drilling target depth is in the region of 4,000 metres (or above) and energy sector analysts are not yet jumping with joy. Perhaps a knee-jerk reaction to Cairn’s announcement has been tempered by the fact that Scandinavian, British and American teams have all attempted drilling off the coast of Greenland in the past, i.e. in 1970-75 and then again in 2000. Neither of the drives resulted in success. Still the Greenland Bureau of Minerals and Petroleum, which has made developing oil activities one of its most important priorities aimed at creating enough revenues to replace the subsidy the protectorate receives from Denmark, would be hoping Cairn is lucky in striking black gold this time. Meanwhile, the forward month crude oil futures contract dipped below US$72 a barrel in intraday trading across the pond as the wider commodities market mirrored equties trading; a trend noted over the last six trading sessions. I quite agree with Phil Flynn, analyst at PFG Best, who wrote in an investment note that: "Just when it seems oil is going to rally on strong economic optimism; it gets crushed with the realty of gluttonous supply." London Brent crude was just about maintaining resistance above US$72 down 89 cents or 1.2% at US$72.55 around 14:45 BST. However, weaker economic data on either side of the Atlantic and fears of a double dip recession, most recently stoked by Bank of England’s MPC member Martin Weale have certainly not helped. Cairn Energy: Choosing Greenland over India? It seems Cairn Energy has shifted its attention from India to Greenland. What else can be said of the Edinburgh-based independent upstream upstart’s announcement of plans to sell a 51% stake in its Indian operations to mining group Vedanta for up to US$8.5 billion? After a week of nudges and winks, Cairn confirmed rumours of the sale doing the rounds in the city of London. 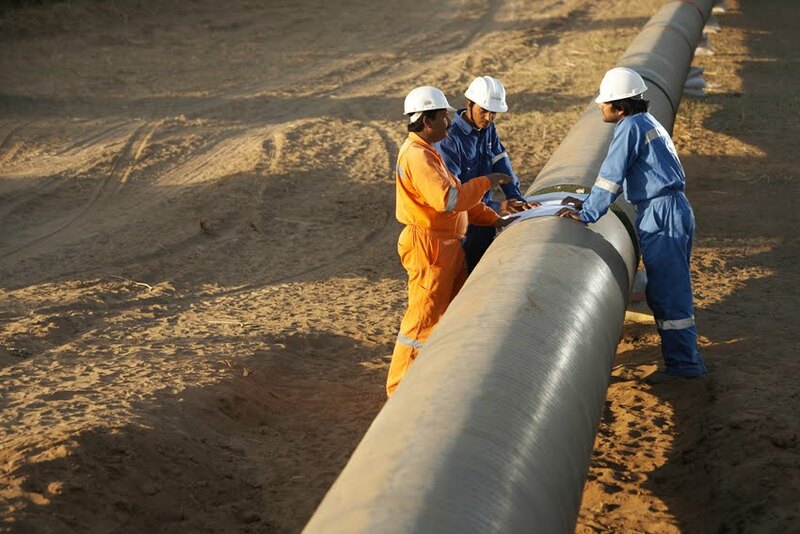 The company’s Indian operations have a market capitalisation of just over US$14 billion which makes Cairn India, the country’s fourth largest oil company. To fathom what the announcement means for Cairn energy is easy. In fact, market analysts I have spoken to reckon the sale would generate more than adequate capital for Cairn's Greenland prospection in the medium term. This makes Cairn pretty cash rich and the market wonders what the inimitable Bill Gammell has up his sleeve. That it could bag another similarly scaled production asset akin to its fields in India’s Rajasthan state is doubtful. Hence, simply put Vedanta has stated its intentions of venturing beyond metals and make a headline grabbing foray into the oil and gas sector. The market would be watching how the two aspects of the business gel under the Vedanta umbrella, but there are precedents of success – most notably at BHP Billiton. In a related development, Cairn energy was featured in Deloitte’s half-yearly assessment of UK independent oil and gas companies. At the end of H1 2010, according to Deloitte the top five UK independent oil companies by market capitalisation were - Tullow Oil, Cairn Energy, Premier Oil, SOCO International and Heritage Oil in that order. The top three have maintained their respective positions from December 2009 while SOCO International entered the top five with a 31% increase in market capitalisation. On the oil price front, the crude stuff plummeted nearly 7% over the course of the week ended Fri 13th on either side of the pond. 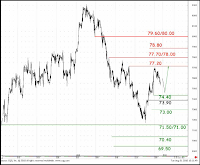 The price resistance is presently above US$75 a barrel and I expect it to remain there despite some pretty disappointing economic data doing the rounds these days. Looking further ahead, analysts at Société Générale’s Cross Asset Research team forecast NYMEX WTI to average US$80 in Q3 2010 (revised down by $10) and $85 in Q4 2010 (revised down by $5). Looking further ahead, an investment note states that they expect NYMEX WTI of US$92.30 in 2011 (revised down by $8.70). NYMEX WTI is forecast at US$88.30/$87.50 in Q1 2011/Q2 2011, increasing to $95/$98.30 in Q3 2011/Q4 2011. On a monthly average basis, Société Générale expects NYMEX WTI of US$87.50 in December 2010 and $100 in December 2011. In truth, fear of a double dip recession persists in wider market, especially in the US, EU and UK. However, many crude traders are quietly confident that in such an event, India and China’s crude oil consumption will help maintain the oil price at US$70 plus levels. Last week was an eventful one in crude terms. Well it’d have to be if Shell and Exxon Mobil declare bumper profits. Both saw their quarterly profits almost double. Beginning with Shell, the Anglo-Dutch firm reported profits of US$4.5 billion on a current cost (of supply) basis, up from US$2.3 billion noted over the corresponding quarter last year. Excluding one-off items, Shell's profit was $4.2 billion, compared with $3.1 billion last year. Unlike BP, Shell said it would pay a second quarter dividend of $0.42 per share. The oil giant's restructuring plans also appear to be bearing fruit achieving cost savings of $3.5 billion, beating the stated corporate savings target by about 15% and some six months ahead of schedule. Furthermore, it is thought that as a result of the restructuring, 7,000 employees would leave Shell nearly 18 months ahead of schedule. It also said it expected to sell $7-$8 billion of assets over 2010-11. Concurrently, oil giant Exxon Mobil reported quarterly profits of $7.6 billion, well above the $4.1 billion it posted over the corresponding quarter last year. Revenue for the quarter rose 23% in year over year terms on annualised basis from $72.5 billion to $92.5 billion. Meanwhile, rival BP reported a record $17 billion second quarter loss which the market half expected. The figure included funds to the tune of $32 billion set aside to cover the costs of the oil spill in the Gulf of Mexico. Sticking with BP, it has emerged that the beleaguered oil giant included a tax credit claim of almost $10 billion in its Q2 results as it seeks to take the edge off the impact of the Gulf of Mexico oil spill on its corporate finances. Its income statement for the second quarter carries a pre-tax charge of $32.2 billion related to the oil spill and a tax credit of $9.79 billion. Under domestic tax laws in the US, BP is entitled to deduct a proportion of its losses against US tax. The issue is likely to turn political – especially in an election year, when much more has been made out of far less. However, legally the US government can do precious little to prevent BP from claiming the tax credit. Crude asset sales seem to be the order of the day. Following on from BP’s sale of assets and Shell’s announcement that it will sell too, news emerged that the Russian government also wants to join the party. It plans to sell $29 billion worth of assets (not all which are energy sector assets) on the open markets. In the absence of official confirmation, local media speculation suggests minor stakes in Rosneft and Transneft may be put up for sale. However, speaking to reporters in Moscow on July 29th, the country’s Finance Minister Alexei Kudrin said, "We will sell significant stakes in state companies on the market. We plan to keep controlling stakes. Assets will be valued publicly, in line with market prices and tenders will be open. We are fully ruling out a situation when somebody sells something to someone at an artificially low price." According to communiqués, the Russian government wanted to rake in $10 billion next year from asset sales. It has also approved a decision to increase mineral extraction taxes on gas producers by 61% from 2011. Finally from a macro strandpoint, market consensus and comments from BP, Shell and Exxon officials seem to indicate that the top bosses of all three see mixed signals in the global economy. While their earnings figures, excluding BP for obvious reasons, have improved markedly from the quarterly lows of 2009, the overall industry outlook remains uncertain. Last month, BP’s image and shares were not the only things taking a plastering. Its bonds, due for repayment in 2013 were nearly downgraded to junk status trading at a price of less than 90 cents in the dollar. Given BP’s asset base, even if the ultimate cost of the Gulf of Mexico clean-up and legal costs amount to US$50 billion, there is not a cat in hell’s chance of the company defaulting on its debt obligation unless the oil price plummets dramatically. So quite frankly, the development was a load of rubbish which piled up owing to media pressure. Now, it gets even more interesting. Following, BP’s asset sales to the tune of US$7 billion, Moody's cautiously placed the asset purchaser Apache Corporation’s ratings, including its A3 senior unsecured ratings, under review for downgrade on July 21st. However, Its P-2 commercial paper rating is not under review. Overall nearly US$5 billion of Apache’s rated debt is affected. Moody’s says that if Apache were to be downgraded, it would be no more than one notch. 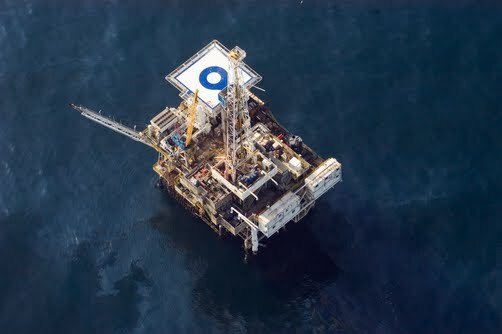 The principal methodology used in rating was the Independent Exploration and Production (E&P) Industry rating methodology published in December 2009. I have reason to question the knee-jerk reaction of the markets to BP’s debt and but can find no reason to question Moody’s downgrade – except that caution has prevailed following the financial tsunami of 2008. Furthermore, a “who’s to say what might happen” sentiment is doing the rounds in the city of London. We’ve said time and again – from Enron to Lehman – that they were too big to fail. BP won’t fail, but the sentiment does not help and permeates across the oil and gas sector, with agencies being stricter than ever. Ratings agency, at the present moment in time are damned if they do and damned if they don’t. They’d rather “do” then “don’t” seems to be the consensus. In a speech at the British Bankers Association (BBA) International conference that I attended on July 13th, Deven Sharma, President of Standard & Poor's, said that the industry realised the issue of transparency and accountability. He added that sound, consistent oversight of ratings firms will help build confidence in ratings, which has clearly been affected by the crisis. 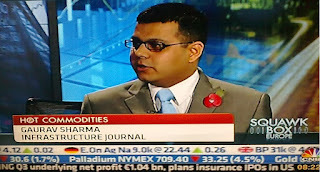 However, Sharma also noted that, "Most of our ratings during the last three years have performed broadly in line with previous periods of economic stress - including our ratings of corporates and sovereigns globally and our ratings of European structured securities. However, the performance of our ratings on US mortgage-related securities clearly has been disappointing, which we very much regret." Sharma said serious steps are being taken to address the scenario through major changes to ratings process and analytics. "S&P's aim is to make our ratings more forward looking, more stable and more comparable across asset classes," he added. We hope so too Sir!